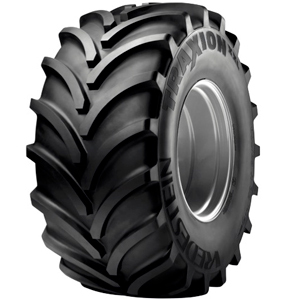 Engineered in the Netherlands, the Vredestein Traxion XXL is revolutionary in ensuring exceptional operator comfort. It incorporates the unique Vredestein non-parallel, overlapping tread lug design which ensures consistent ground contact for minimal vibration and maximum ride comfort. Non-parallel tread lugs ensure optimal self-cleaning ability. Advanced tread design ensures excellent traction and unbeatable ride comfort. Wide contact surface area ensures reduced soil compaction and minimal damage to sensitive crop areas.